Marvelous Middle Grade Monday was created by the inimitable Shannon Whitney Messenger, and even when she's busy elsewhere, a growing number of us carry on! Check out these amazing blogs: Shannon O'Donnell, Brooke Favero, Ben Langhinrichs, Sherri Peterson. 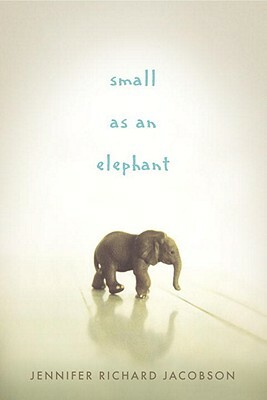 SMALL AS AN ELEPHANT by Jennifer Richard Jacobson (Candlewick, March 8, 2011, for ages 10 to 14). Jack's mother has always been unpredictable, especially when she's off her meds (she appears to be bipolar, but it's never labeled). He loves her and he knows she loves him, but sometimes she acts wild and impulsive. So he's not totally surprised when he wakes up alone at their campsite in Acadia National Park in Maine. They had argued the night before about something Jack wanted to do on this vacation. Jack covers for her and pretends she's just taken the car to get medicine. He manages to fool the park rangers and the friendly family nearby. But he can't find his mom anywhere in the park. He looks for her in Bar Harbor (and if you've ever been there you'll recognize familiar tourist sites like Cool as a Moose and Sherman's Bookstore!). Jack is 11 years old and totally believes what his mother always told him: his grandmother is evil. He doesn't want the authorities to swoop in and take him to live with this grandmother he doesn't remember. He's young and innocent enough that he doesn't realize at first that the entire state of Maine is searching for him. He decides to start walking home to Boston, even with no money and only a small elephant toy to keep him company. Jack is obsessed with elephants and knows every fact about them. What middle grade marvels have you read recently? Marvelous Middle Grade Monday was started by the inimitable Shannon Whitney Messenger, who, um, isn't posting her own MMGM today, but even without our fearless leader, those of us in the trenches, uh, have got it covered! 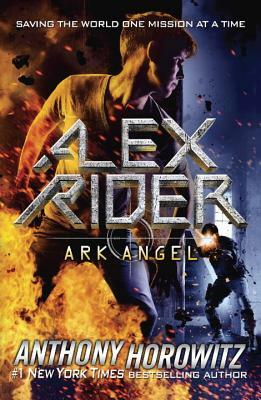 Check out Shannon O'Donnell's post about The Edge Chronicles. UPDATE: Brooke Favero talks about one my favorite Newbery honor books. Myrna Foster discusses The Strange Case of Origami Yoda. Ben Langhinrichs showcases Swallows and Amazons. Okay, I admit it. I'm a cover snob. Never in a million years would I have picked up this book with this cover. But when the paperback came out, ah, now there's a book I can reach for. Are you listening, publishers? And now that I've read it and realized how entertaining it is, I'll tell everyone I know. 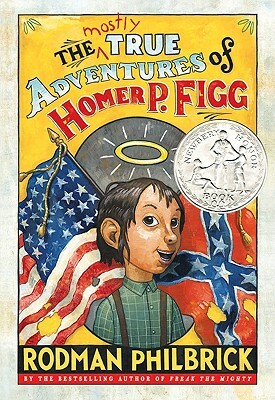 Homer's older brother is tricked into joining the Union Army during the Civil War. Since his brother is the only family he has left, young Homer decides to find him and rescue him. Along the way, Homer is robbed by a confidence man, becomes the Amazing Pig Boy in a traveling medicine show, escapes in a hot air balloon, and finds himself in the middle of the Battle of Gettysburg. It's a tour de force of middle grade literature, and it's hilarious and heartbreaking. Don't judge a book by its cover. No matter how silly the cover is. Just read it. You'll have a grand time. 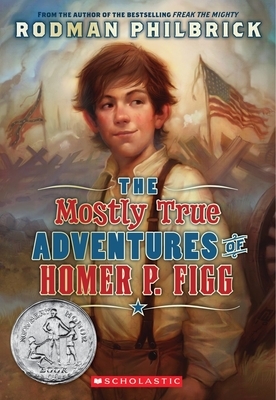 The Mostly True Adventures of Homer P. Figg by Rodman Philbrick (Blue Sky Press/Scholastic, paperback edition published January 2011, for ages 8 to 12). After participating in PiBoIdMo, (Tara Lazar's wonderful challenge in November) I came up with 32 shiny new picture book ideas. Maybe five of them are viable. I've now actually written two. And continued to revise and polish previous picture books. All while writing a YA novel. Until I manage to get an agent, I'm continuing to submit picture books to any publishers open to unsolicited manuscripts. Since I have quite a few out on submission already at all the major picture book publishers, I started investigating some small ones. Hello?? Last time I checked, a novel was, by definition, um... fiction. Nothing else. You can be sure I won't be submitting anything to that publisher. Before I submit, I always check Absolute Write or Writer Beware, to be sure the publisher isn't a scam. What kind of research do YOU do? Another Marvelous Middle Grade Monday -- The Great Wall of Lucy Wu -- and a bold takeover! This year, I got nada. Zip. She was just going to talk about some book. Hmph. So I had to take matters into my own hands, er, nodes. 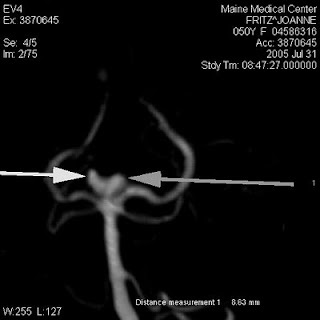 What's the most important thing you can do to prevent aneurysm ruptures, strokes and heart attacks? Yep. It's that simple. See, a normal blood pressure is about 120/70. 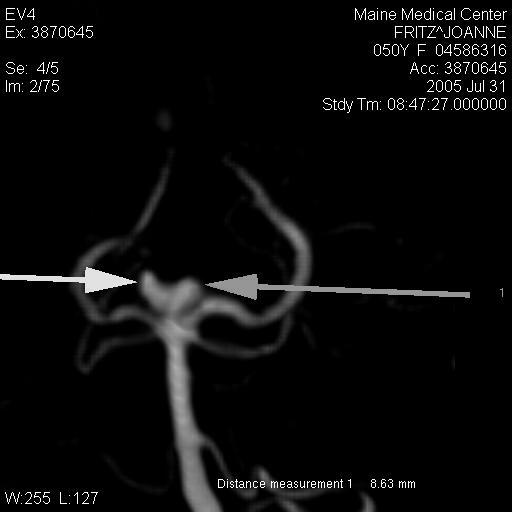 Joanne may not want you to know this, but when she was admitted to the ER in 2005 with the worst headache of her life, her BP was 214/140. Yikes! That was high. What do you think you're doing? (*groans*) You had your post last year! Get away from there! Oh, I am SO sorry about that, everyone. Gosh. Please excuse that rude interruption. 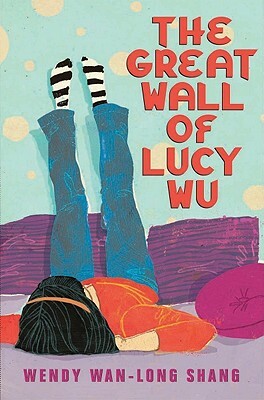 Now, as I was saying, today on Marvelous Middle Grade Monday, I want to talk about THE GREAT WALL OF LUCY WU by Wendy Wan-Long Shang (Scholastic, January 2011, ages 8 to 12). Lucy loves basketball, her family and her life. She's about to start sixth grade, where she and her class will finally rule the school. She has a genius older brother named Kenny. She has a best friend, Madison. She has a tiny crush on Harrison Miller. Best of all, she's about to get her own room because her older sister Regina is going off to college. Until her parents inform her that Yi Po, her Great-Aunt from China, is coming to stay with them, and sharing Lucy's room. In a fit of anger, Lucy builds the Great Wall, by pushing her furniture around to make a barrier between herself and Yi Po. Even worse, her parents tell her she's going to Chinese School on Saturdays, so she'll have to give up basketball. This being a MG book, things have a way of working out. Basketball practice gets moved up a couple of hours, so she's able to do both. But how will she ever get along with Yi Po, who doesn't speak English and is embarrassingly old-fashioned? And how will she deal with Sloane Connors, the snobbiest girl in school, who starts a campaign against Lucy when both of them are vying for Sixth Grade basketball team coach? And will she ever be able to talk to Harrison without feeling tongue-tied? This is a lovely book for middle graders who like contemporary girl stories. What's especially refreshing is the intact family. Two parents, both still alive. No divorce. There's a lot of realistic give-and-take among the family members. The only thing I found slightly unrealistic was that Regina comes home from college only one time, and only stays for a few hours, saying, "Where would I sleep?" The best thing about the story is the voice. Lucy tells the story and she comes across as a normal sixth grader. She's very funny. She learns a great deal about herself and her culture, and the author integrates the information seamlessly, without ever being didactic. Lucy's character growth comes across beautifully. You find yourself rooting for her, hoping she'll win the basketball game, defy the snobby girl, and learn how to handle Chinese School and Yi Po. Hope you enjoyed that. NOW will you go check your blood pressure? Not you again! What do you think you're doing? Go back inside where you belong! *groans* YOU'RE the one who's raising my blood pressure! Okay! Relax! I'm outta here! Ah, yes. Sometimes booksellers get to do things other people envy. Like receive ARCs of children's books. And meet authors! Gennifer made a point of going around talking to everyone in the room (there were 12 of us besides Dawn and Gennifer). She was fascinating and friendly and funny. I really enjoyed meeting her. Can you tell? I asked her about the origin of this fantasy, which is so different from her other books, and she said she'd had the idea for years, but never pursued it. She was busy writing Al Capone Does My Shirts and Al Capone Shines My Shoes, among other novels. But she confided that the very first novel she ever wrote (never published) was a fantasy! She also said that once she started writing this one, the words just poured out of her. What about revisions? Gennifer said that unlike the Al Capone books, where the revision notes from her editor got shorter and shorter with each succeeding draft, for this one the revision notes got longer and longer! What children's lit author would you most like to meet if you could? 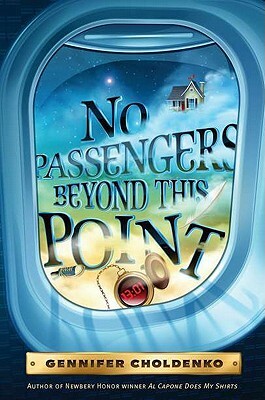 Marvelous Middle Grade Monday was started by the inimitable Shannon Whitney Messenger. Of course, you can also find a MMGM post at Shannon O'Donnell's blog. And this week, be sure to welcome Ben Langhinrichs, who pays tribute to Eva Ibbotson, and Brooke Favero, who talks about The Mysterious Benedict Society. The Wonder of Charlie Anne by Kimberly Newton Fusco (Knopf, August 10, 2010, for ages 8 to 12). Like Tending to Grace, (which I reviewed here) this is a quiet book you may have overlooked when it pubbed last August and a hundred noisier books were clamoring for your attention ("Read me!" "No, read ME!"). 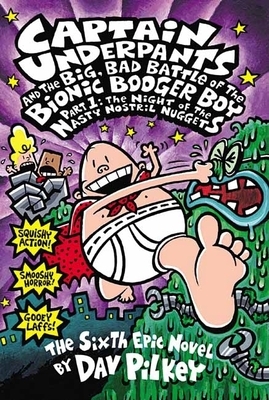 It's also aimed at a younger audience than Kimberly Fusco's first book, which was YA. 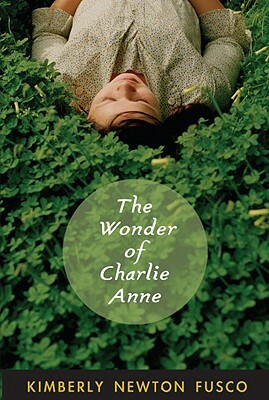 The Wonder of Charlie Anne is firmly Middle Grade, and the kind I love -- historical fiction that's as fresh as any contemporary novel, with a main character you can cheer for. Charlie Anne (real name Charlotte Anne) lives on a farm in Massachusetts during the height of the Depression. Mama died in childbirth along with Charlie Anne's youngest sibling. So Mama's dour cousin Mirabel moves in to help with all the chores and children. When Papa announces he and Thomas, the oldest of the five siblings, are going up north to build roads for President Roosevelt, Charlie Anne is devastated. The trouble is, Charlie Anne doesn't get along so well with Mirabel. Mirabel struggles to make a lady out of her and constantly reads to her from a book of manners. Charlie Anne can't read -- the letters get all jumbled up -- and she was glad when the local school closed for lack of a teacher. But Mirabel seems to have it in for her. Charlie Anne gets stuck doing all the chores, while Ivy reads movie magazines and little Peter and Birdie play. Charlie Anne is a delight of a character; she's messy and clumsy and easily distracted -- she hears the swing calling her, or the river. She talks to the cows and the chickens as if they can understand her. She rarely gets her chores done, but she loves her little brother and sister and she can make a mean vinegar pie. Then a new girl moves in next door. Charlie Anne is eager for a friend her age. But Phoebe is black, so Mirabel won't allow Charlie Anne to play with her, even though Phoebe can read much better than Charlie Anne and can sing like an angel. If you liked Moon Over Manifest, this year's Newbery winner (you can read my review here), also about a motherless girl during the Depression, this book should appeal to you. 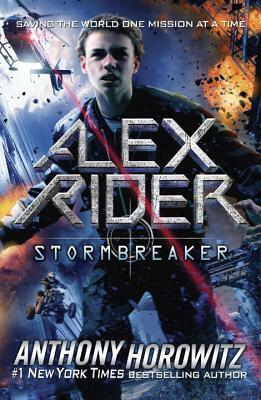 You may even find this more accessible, because it's a straightforward linear narrative, with an absolutely irrepressible main character. The Wonder of Charlie Anne also reminded me of Words in the Dust (reviewed in this post), because the relationship between Charlie Anne and Mirabel is as complicated as the one between Zulaikha and her stepmother. And of course it also deals with prejudice. What marvelous middle grade novels have YOU read? Many book bloggers (and I include myself) seem to talk mostly about the newest, hottest books. Can't blame them. But I think it's important to occasionally step back and talk about books from years ago, especially the quiet ones, the books that might not have received a lot of buzz, the books that aren't filled with action and explosions and kids with special powers but are still, amazingly, in print. 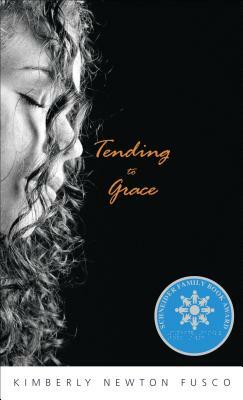 Tending to Grace by Kimberly Newton Fusco (Knopf, 2004, for ages 12 and up) is one of those quiet books. It didn't make a certain online magazine's list of Top 100 YA Books for Feminists. It didn't get a lot of buzz when it was published. But it did get starred reviews in respected journals and received the Schneider Family Award in January 2005. I pulled it off my shelf and re-read it today because I've just read the author's newest book and I'll be blogging about that on Monday. So what's Tending to Grace about? Well, if you've seen The King's Speech (and I hope you have, because it's the best movie I've seen in years, and not just because of Colin Firth! ), you know the film delves into the life of King George VI, who happened to be a stutterer. "Listen to me! Listen to me!" "Why should I waste my time listening to you?" Cornelia, the 14-year-old protagonist of Tending to Grace, also stutters. She can't even say her own name. But she's not royalty and no one's ever offered her speech therapy. Dropped off by her mother at the crumbling farmhouse of eccentric Great-Aunt Agatha, Cornelia the city girl has to get used to a new way of life -- and the fact that her mother abandoned her there. She loses herself in books and refuses to speak at all. But no-nonsense Aunt Agatha won't accept her silence. She knows Cornelia has a voice. This slim novel is written in prose so strong and lyrical it sings. It's a luminous, lovely and quiet story that speaks to your heart.